On Friday night we were privileged to be among the first people in the UK to taste the 2007 Vintage of Bollinger La Grande Année and what a treat it was too. The champagne will not be in the UK until January, but you can order it now for delivery late January. 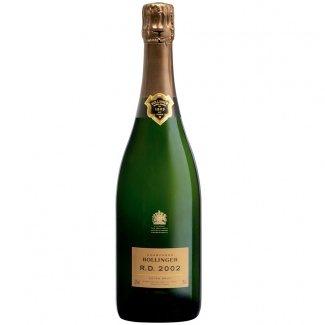 Those with a good memory for vintages may wonder why Bollinger have jumped from 2005 to 2007 for their Grande Année cuvée; in Champagne 2006 was a vintage of incredibly ripeness giving very fruit driven and for Bollinger too much fruitiness, due to the exceptionally hot and sunny weather. For most Champagne houses this was thought of as a gift, but to Bollinger who prefer more finesse and less forward fruit expression, 2006 La Grande Année was not created and the wines from that year went into their non-vintage special cuvée champagne. In 2007 the conditions were a little more subdued with an unusually warm spring and not a great summer, but weather improved towards September allowing a fair crop of slowly ripened fruit. 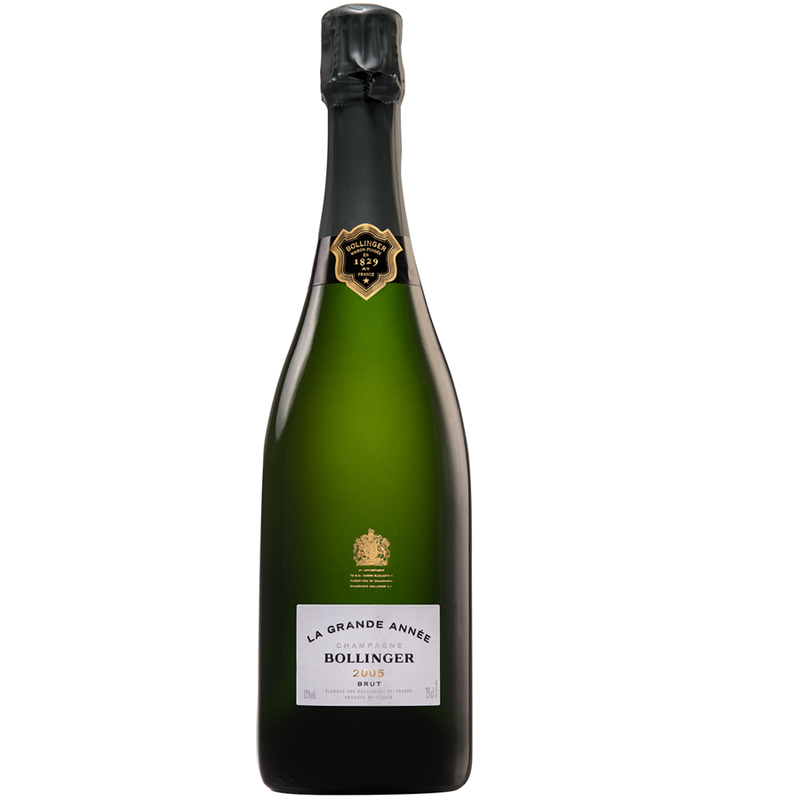 Bollinger take their Pinot Noir fruit mainly from the vineyards of Ay and Verzenay and these two areas of vineyards are predominantly southerly facing and Chardonnay from Avize, Cramant and Oger. This ensured that the fruit was both ripe but also fresh with great acidity and perfect for La Grande Annee. Strong richly golden colour; initially lots of lemon and lime and then you start to pick up lots of the more tropical fruits like peaches and nectarine and hints of pineapple and hints of spicy caramel; after more time in the glass a mass of dried fruits like apricot. On the taste you get a load of rich ripe lemon, pineapple, all underlain with plenty of vanilla oak and caramel lingering very long. Very youthful, good balance of acidity and flavours all last long in the palate. Another great power champagne from Bollinger that looks to have legs to mature for many years. Initially lots of lemon coming through then the hints of oak start to layer in and when you taste the flavours seem more harmonious than 2007, time has blended the components so the impression is more harmonious. There is an abundance of lemon rich fruit with layers of orange peel and guava and hints of lychee and rich pineapple and has creaminess from the oak and acidity seems quite gentle peaches and cream on the finish. Deep golden yellow with very vibrant mousse; initially marzipan came through with a wack of mandarins and citrus and loads of dried fruits like apricot and hint of dates and a hint meaty with yellow plums. Big mouthful of fruit and lovely soft mousse, bundles of fruits, hard not to find any fruit, bundles of citrus and orange, peaches and lime and nectarine and beautiful balance with the oak seeming so well integrated you hardly notice. The star of the three vintage tasting of 2005, 2005 and 2007; has elegance and good acidity suggesting this will become greater and more complex for many years to come. Lots of oak and toasted coconut and hints of ripe apple and a real bunch of dried apricot and mandarin and quite a lot of lime. On the palate its bone dry, but the amount of fruit means it holds up well, has hints of liquorish and aniseed with bundles of tropical fruit and very long finish. When going back to the champagne 20 minutes later the truffle character has really come out on the nose. If I wanted to drink a champagne I would drink the Grande Année 2002 if I was having food I would drink the R.D. since the low dosage of the R.D. makes it more suited to food than sipping! 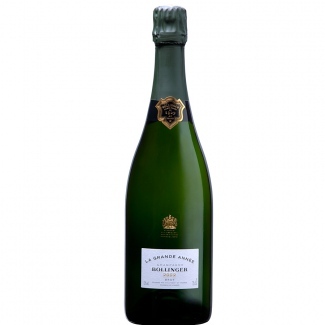 If you would like to reserve your case of Bollinger Grande Année 2007 , please contact us here at TFB and we will make sure you are on the allocation list.